The vast continent of Africa is filled with a rich tradition of many vibrant musical styles. 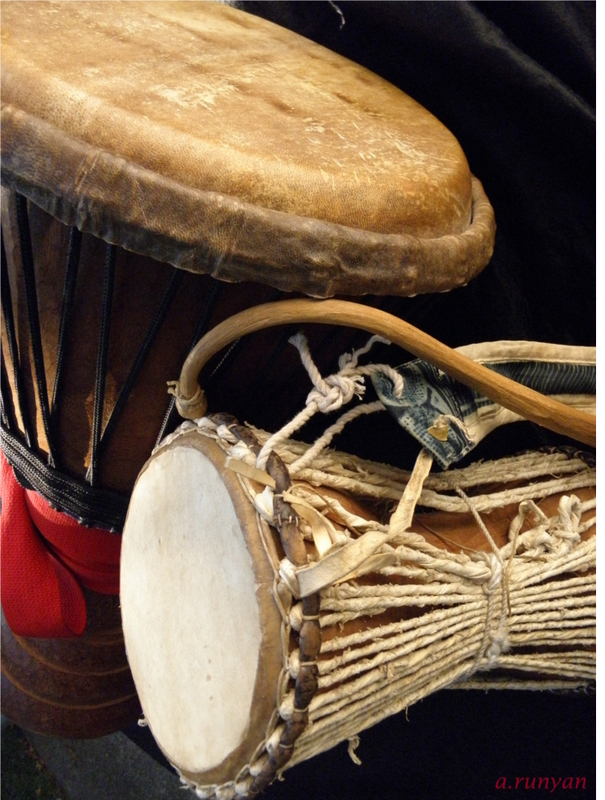 At the heart of it all are African drums and percussion instruments.This page focuses on a West African subset of those instruments. They are some of the most well known throughout the world. 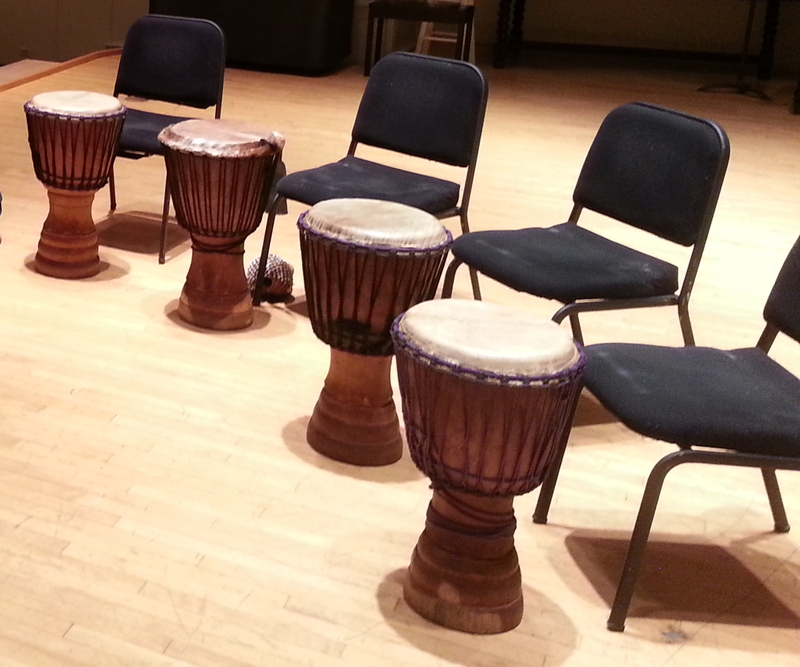 There is a wealth of traditional rhythms to learn that also have great potential for application in contemporary music. 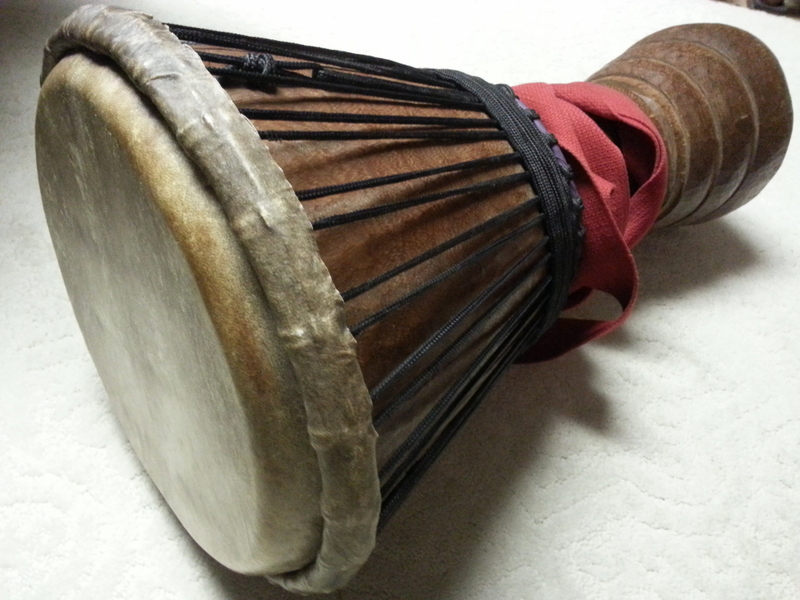 The Djembe is a hand drum from West Africa that is made from a solid wood shell, goatskin drum head, metal hoops and rope (for high tension tuning). A Djembe player creates 3 main tones (bass, open tone and slap) by using different hand strokes. It is played widely in Guinea, Mali, Senegal, Ivory Coast and beyond. A great resource of traditional Djembe Rhythms is the book A Life for the Djembe: Traditional Rhythms of the Malinke by Mamady Keita and Uschi Billmeier. 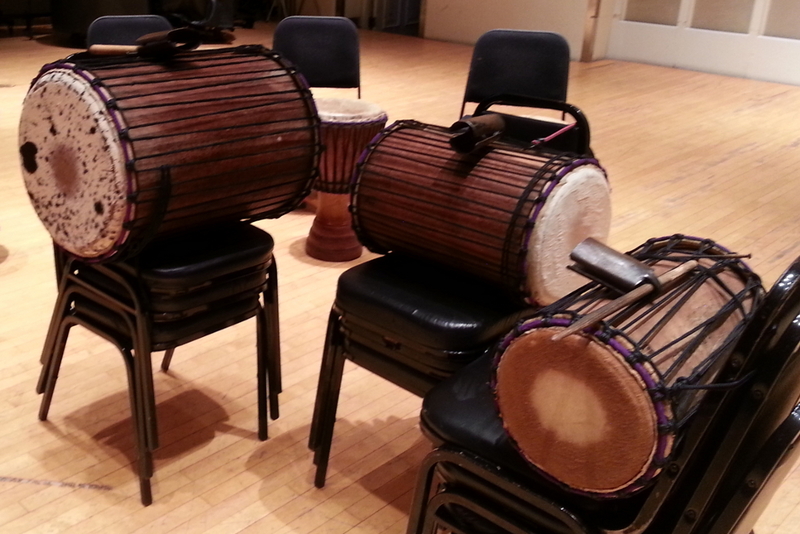 The Dunun family of bass drums are used in ensembles with Djembes to complete the Djembe drum ensemble. 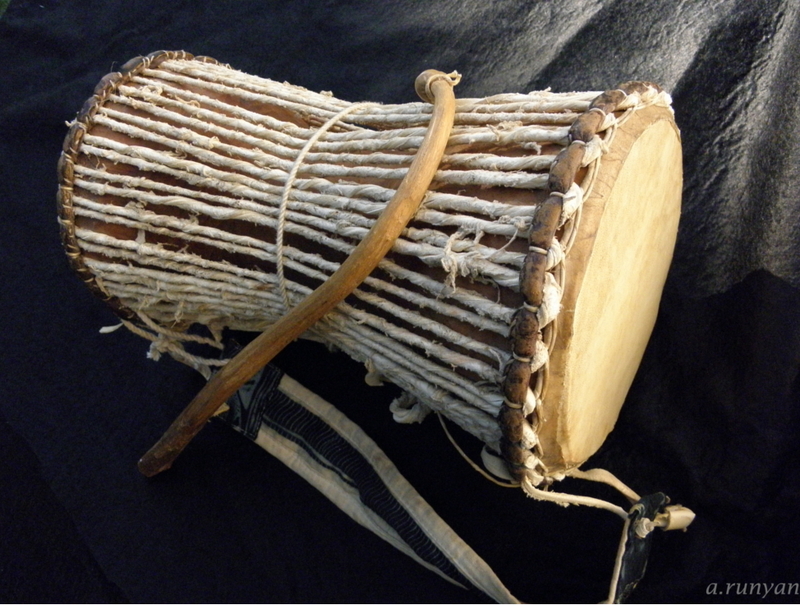 The drums are collectively known as Dununs, but are individually named Kenkeni, Sangban and Dununba (from high pitched to low). 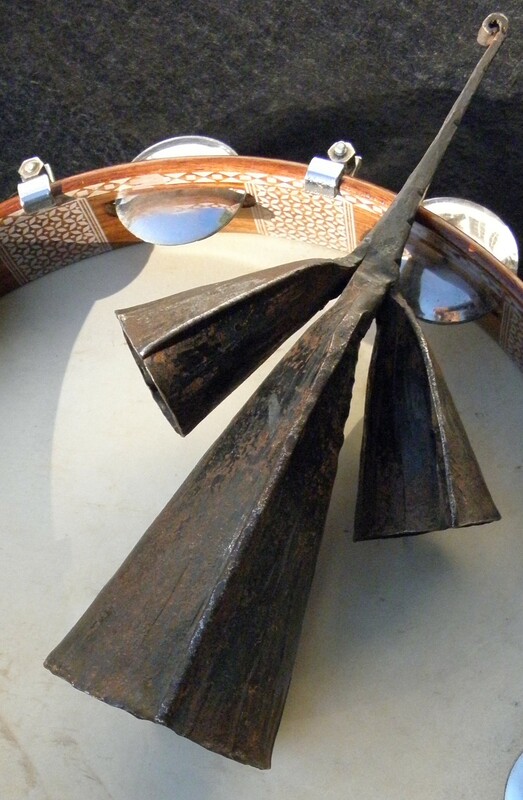 The drums are 2 headed drums played by beating the drum head with a stick while simultaneously playing a bell (mounted to the side of the drum shell) with a short metal rod. The Shekere is a gourd (dried and hollowed) wrapped in a net of beads. It is played back and forth between the hands, being tossed, tapped and shaken to produce a variety of tones. There are also many other shaker variations throughout Africa. These are a type of drum that uses an hour glass shaped drum shell with drum heads mounted on each end and tensioned together with rope or leather straps. The player holds the drum under his or her arm and beats the drum head with a hooked stick. The player alters the pitch of the drum by squeezing/loosening the tension straps. The drummer sometimes also plays on the drum skin with the fingers of the non-stick holding hand. Each tribal group has specific names for their own variations of these instruments. There are many variations on African Bells. Usually they are struck with a stick. Bell patterns provide a high pitched rhythm for the rest of the ensemble to synchronize with. 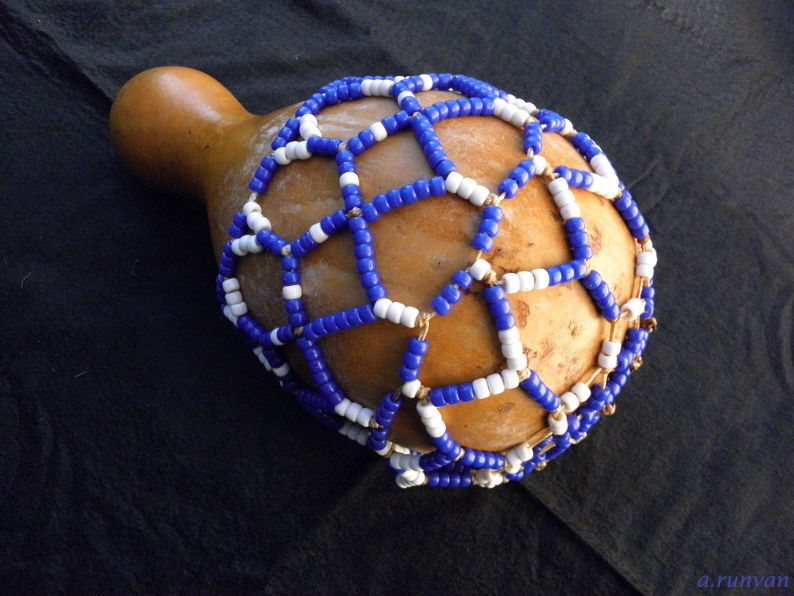 A couple of examples include the Ewe of Ghana using a gankogui bell and the Yoruba using the agogo bell.